This beautiful ivory rose side tiara epitomises romance and classic glamour for timeless wedding day style. Simply exquisite, our Vintage Rose Side Tiara is a romantic treasure. 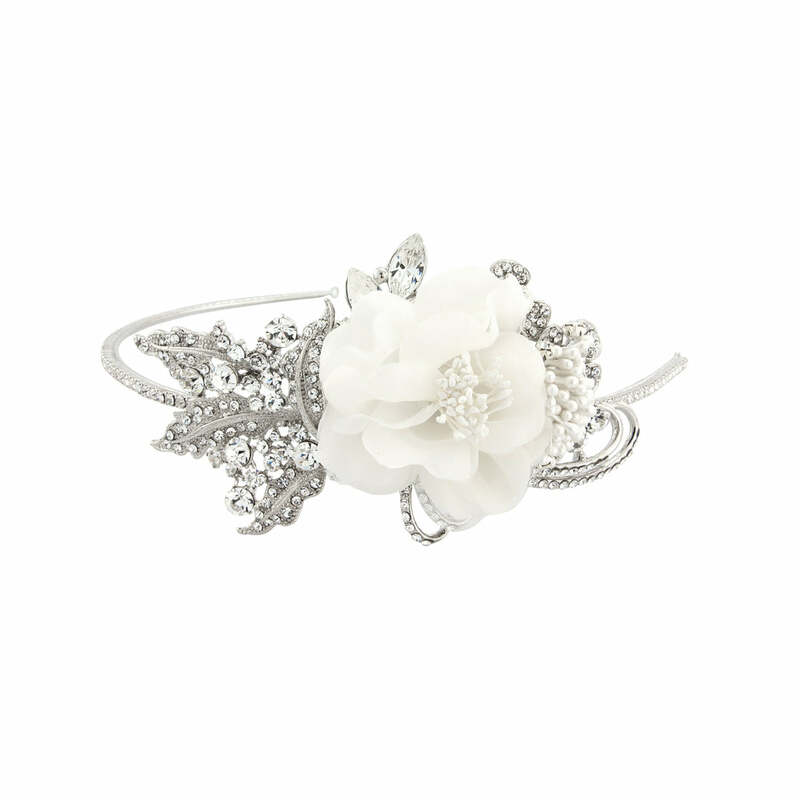 Featuring an ornate side adornment of crystal encrusted leaves set on a sparkling fine crystal studded headband, its vintage glamour is beautifully contrasted with a silky rose hair flower with ivory faux pearl accents. With end hoops to secure the side tiara with kirby grips, Vintage Rose looks sensational with any bridal up-do. 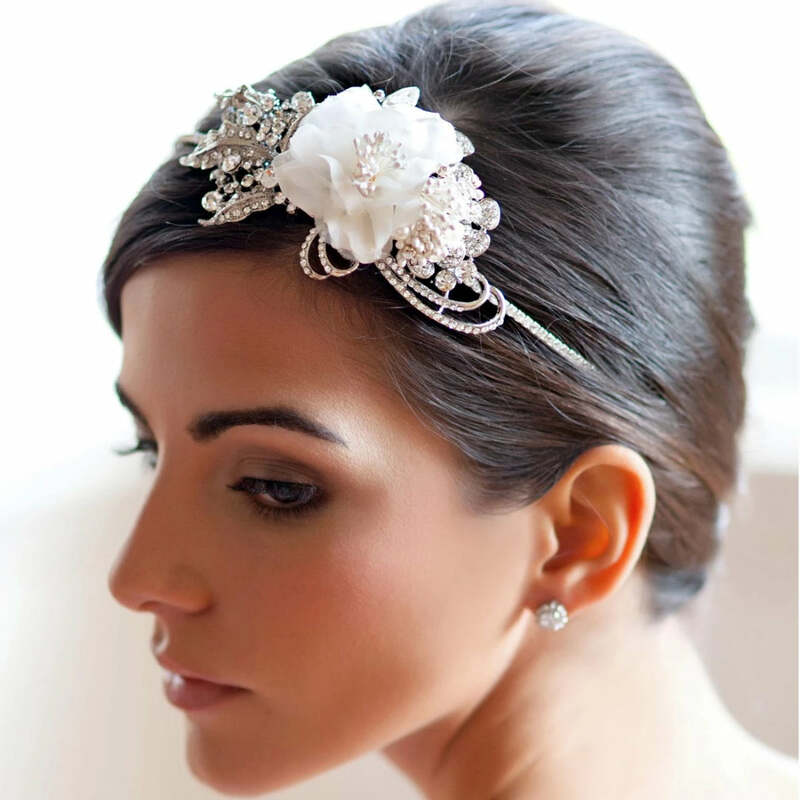 Brides who adore romantic style with a touch of 1940s classic glamour will adore this side tiara. With such graceful and timeless style, it enhances all wedding gowns from figure-skimming lace to a tea-length dress. Simple coordinate with a pair of chic bridal stud earrings to complete your wedding day look.